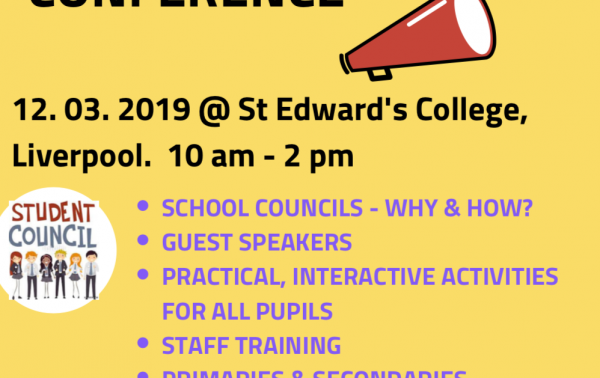 Come along to the first ever School Council event for Edmund Rice schools in England. Download the info and send in your registration form. Contact Ann if you need more details. 12 March at St Edward’s College, Liverpool. Workshops for students; both primary and secondary, Teachers sessions, experts and councillor to speak. A great way to improve pupil voice in your school.